Last month, Facebook announced that its internal team found a photo API bug in the social media platform which may have exposed the unshared photos of 6.8 million users. Read on for all you need to know about the recent Facebook bug. What was the breach? - The recent bug may have allowed third-party apps to access loads of pictures without their user’s knowledge or permission. An estimated 1,500 apps were affected, and the breached photos include those shared on Facebook Stories or Marketplace as well as photos that had been uploaded but weren’t yet posted. The bug was active from Sept. 13-25. What steps has Facebook taken to fix the bug? - Facebook fixed the bug by Sept. 25 and has openly apologized for the breach. They have promised to let app developers know which of their users have been affected by the bug so they can take steps on their own. Facebook also claims to be working on strengthening platform privacy to prevent future photo leaks. What does the bug mean for impacted Facebook users? - Having your unshared photos posted on public forums can lead to a host of safety issues. Thankfully, no crimes have been linked to the photo leak to date, but crooks can use revealing photos to stage a home robbery or worse. That’s why it’s always best to use the strongest privacy settings on your social media platforms and to be super-careful about which apps you allow to access your photos. To keep yourself safe in the event of security breaches, never post photos that are too revealing about your personal life and your financial situation. How can I check if my photos were leaked? - Facebook has issued an official alert to all affected users with clear steps for protecting their photos. The alert directs users to aHelp Center Page where they can check if they’ve used any apps affected by the bug and get instructions on how to proceed from there. Facebook also advises users to log into any apps they use to shared photos and check which ones are accessible. Facebook’s latest security breach may have impacted millions of users, but with the proper reactive steps it can help the social media giant and all its users practice stronger security measures. 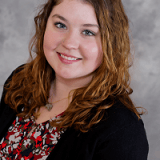 Courtney recently graduated from the University of Wisconsin-River Falls with a Bachelor’s degree in Marketing Communications. She likes to spend her free time away from social networks and enjoy the real time company of her dog, Potato, and lifelong friend turned boyfriend, Julio. She enjoys hiking and exploring the beautiful state parks of Minnesota. When she isn't getting lost in the woods, you can find her touring local breweries, and thrifting the small town main streets of Minnesota.